Complete vacuum slide assembly for Harley CV carburetors. Replaces original H-D p/n #27585-88. 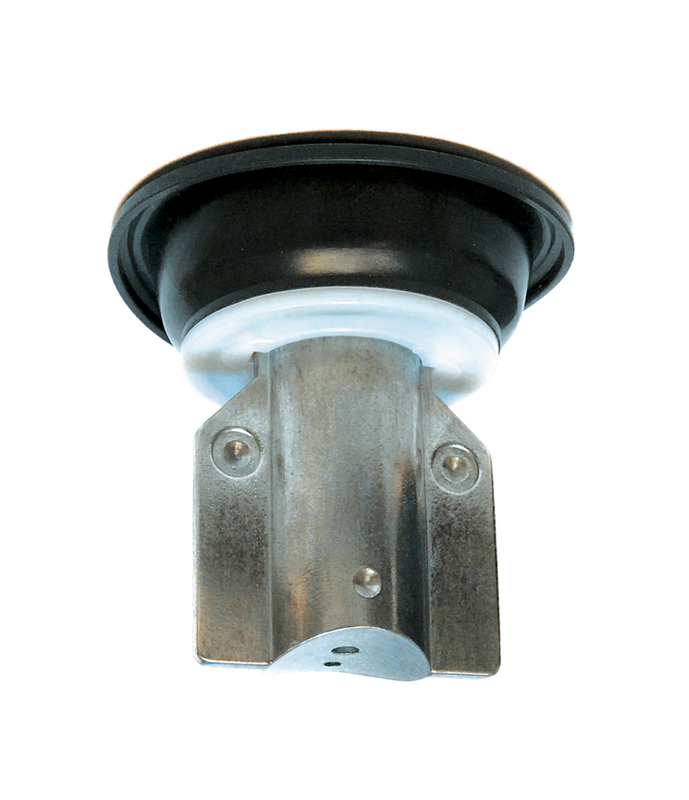 Slide replacement is recommended when the diaphragm eventually becomes pinched or torn, or if the vacuum port hole has been modified by drilling 1/8" or larger causing driveability problems. New and improved! Our slide is now tumble polished and uses a stronger diaphragm for improved durability. **Special discounted pricing, other discounts or coupons not applied. We personally inspect every slide diaphragms prior to shipping. 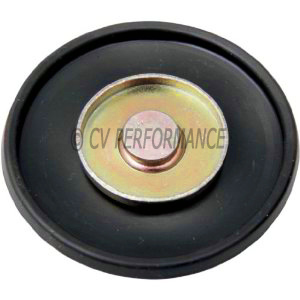 CV Performance does not warranty against pinched or damaged diaphragm by installer. Please use care when installing. 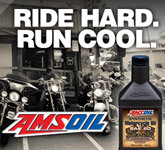 *Not for use on non-Harley models or other Keihin carburetors. Only for H-D CV40 carburetors. 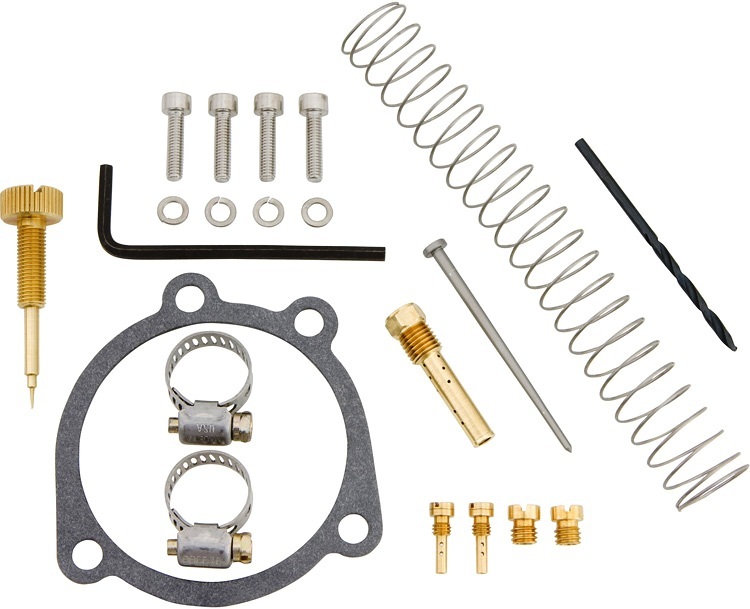 WILL NOT fit the non-stock race carburetors: CV44 (slide 27552-99) or CV51 (slide 27555-03) which are only available from Harley-Davidson® dealerships. All vacuum slides are test fitted and inspected by CVP prior to shipping to meet specifications and are verified functional for their intended use. We personally inspect the diaphragm before shipping to be free of any cuts or damage. Manufacturer warranties the slide portion only (metal casting) against manufacturing defects for 90 days from purchase date. 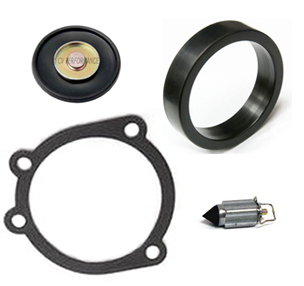 The rubber diaphragm portion is not warrantied after receipt and/or installation since the manufacturer or seller has no control over any possible adverse conditions that may occur. It should be noted that the rubber diaphragm is very delicate, and any mishandling including pinching the diaphragm with the cover during installation will cut or tear the material and is not covered by any warranty. For warranty issues please contact CV Performance in writing. If a warranty claim concerns any sort of defect with the cast slide portion of the assembly the seller will issue a RMA number to have the slide returned for inspection. An RMA does not guarantee acceptance of return or exchange. Upon inspection if the item is determined to be defective the seller shall provide a replacement in exchange only. This warranty does not provide for a refund or compensation in any manner. Warranty does not cover any time, labor, shipping, or other loss incurred by any party whatsoever. CV Performance reserves the right to deny a warranty claim due to factors including but not limited to; abuse or misuse, exposure to solvent or chemical, damage from overheating or backfire, any damage caused by the carburetor itself, damage or improper handling by installer, damage caused to the product from any other product or device, or handling by any third party shop or installer. CV Performance is not liable for any damages or loss related to this or any product. We take pride in selling products that either meet or exceed the original specifications. If you believe the product has a covered defect please contact us in writing prior to using the product through our contact form with a description and original order number so we may further assist you. This slide turned out so much better than stock ones from H-D. A year ago I replaced the slide piston from my harley dealer and went through 2 where the rubber split within 3 months. So tried this one from you guys [CVP]. After 9 months plus many miles to and from sturgis and daytona rallies this thing is still doing its job. Thanks for still building things the way they use to. 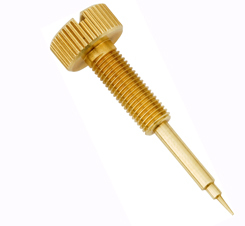 Quality part and a good price. You can tell just by looking at the material and assembly quality that this part will probably outlast my Harley. Can't go wrong with these. Amazed how well made this part was when it arrived. The rubber is much stronger and the slide looks perfectly polished. I should have come here first. I bought another slide from a big catalog and another from a parts store, all were junky looking and I returned them. They had a flimsy feel to the rubber and looked dirty. I also tried replacement diaphragms which were a big failure. This slide from CVP looks better than my original and bike runs fantastic now. Thanks guys. Perfect cure for my worn out slide. My 14 year old Harley carburetor was showing it's age and replacing my slide and accelerator pump made my bike run good as new. Replaced my old slide piston and the carberetor run great again.